To get ready to make additional seeds for the ongoing nut and seed project it is necessary to try out different glass colour batches, blow them out and see how different colours react with each other. 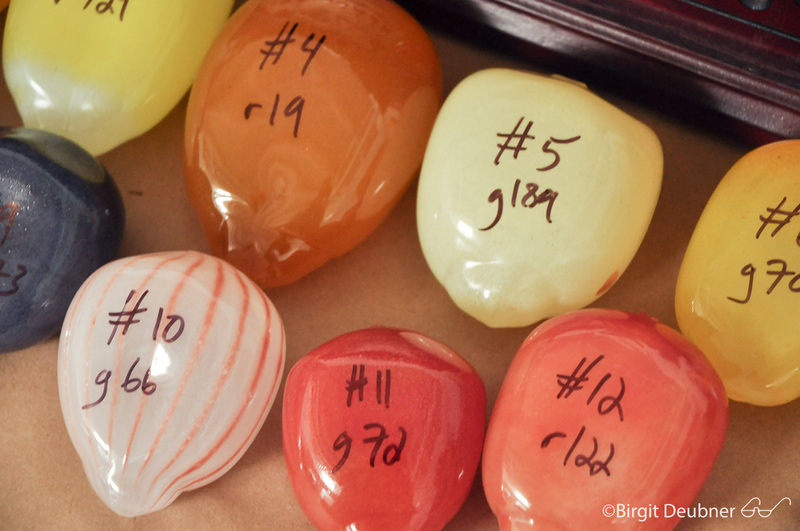 It takes trial and error and educated judgments to find those glass colours that work best to make life like blown glass seeds and glass nuts. Glass colour samples in Jason’s studio, getting ready for a range of seeds and nuts to be made soon. 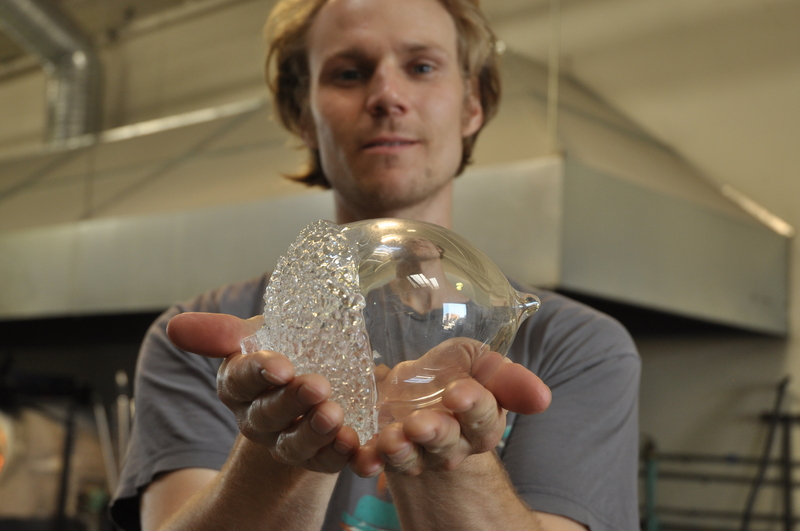 This handblown glass bowl takes a total of 26 hours to create. 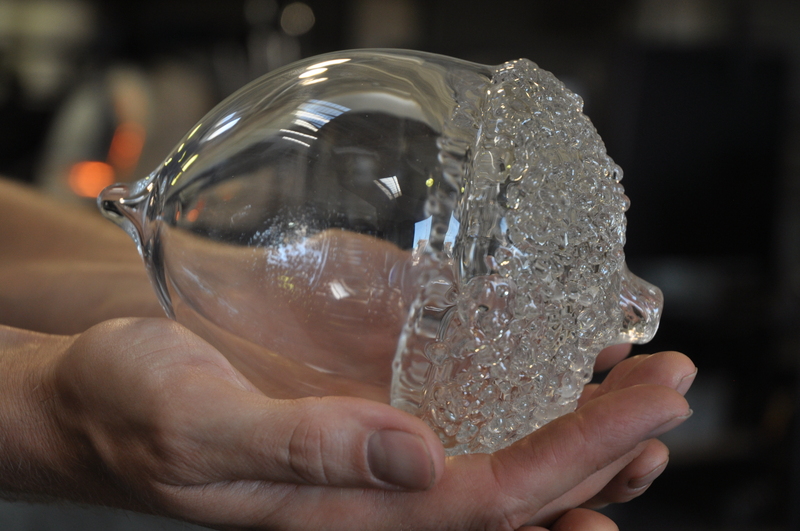 There are 2 separate hot glass blowing processes used, each requiring a 12 hour annealing (precise temperature controlled cooling) and a cold worked engraving process, which takes another craftsman up to an hour for each bowl. 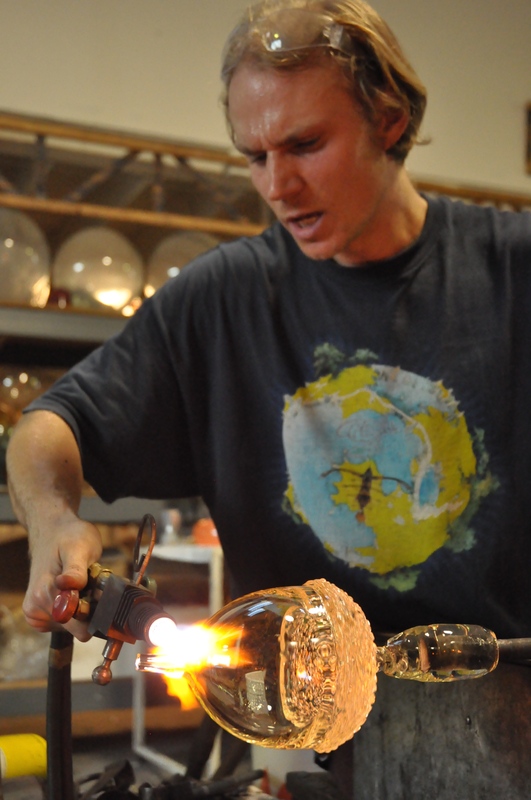 The making of these bowls requires a high level of competent glassmaking craftsmanship, something that Jason has dedicated himself to full time for the past 12 years..